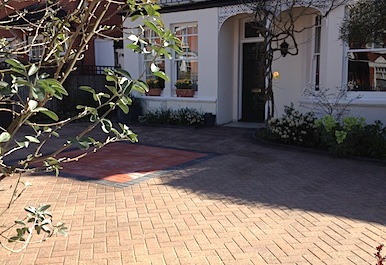 Driveway Installation | Dulwich SE21,- East Dulwich SE22, - Herne Hill SE24, - Clapham SW11,SW4 - Brixton SW2. One of the first things anyone will see when they visit your home is your driveway. An integral part of any front garden, driveways don't have to be boring. With so many colours and patterns to choose from, you can make your driveway all your own! Our bespoke designs allow you to create a driveway that is perfectly tailored to your vision for your home. We use quality products on driveways and have a vast selection of products, materials and finishing's for many individual tastes and requirements. We can supply many styles of stone and concrete products engineered specifically for driveways.